Stone Design by Santos provides quality granite material for installing exotic looking granite countertops in your kitchen. The granite is an affordable stone that fits in any budget, and its appearance provides a great touch while matching with the interiors of the home. We advise the homeowners to opt for granite Fort Lauderdale because of its easy availability and aesthetic sense. Even this stone can be easily cleaned as the kitchen countertops mainly witnesses spill over, food particles, blackness, etc. Another important thing is the texture and availability of varied colors that make the first choice of the consumers. The Granite stone is an amazing choice for the kitchen countertops because of its ease of cleaning, and it is resistant to any kind of damage. The 100% natural stone material makes it firm that further restraints any kind of worn-out problems. 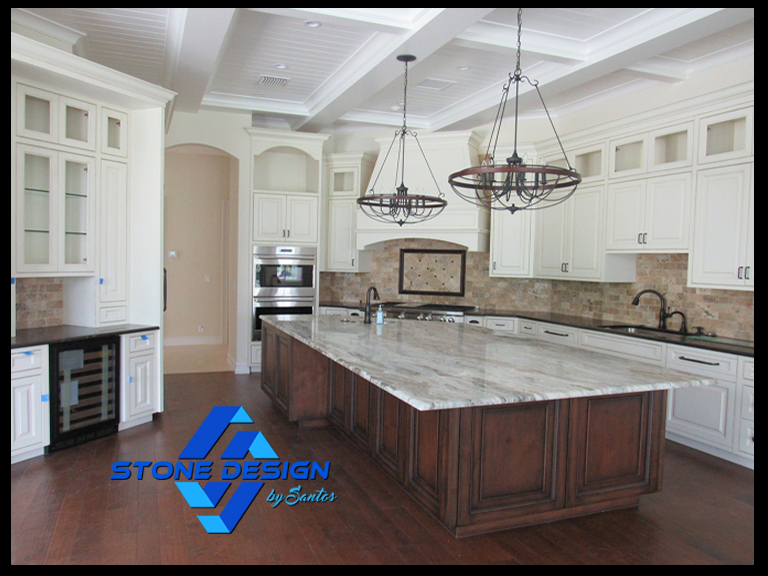 Stone Design by Santos provides the granite Fort Lauderdale service for the kitchen countertops at competent prices. Our Company has a greater collection of the granites that are purchased from the branded distributors in the Florida town. Our Company’s professionals understand the minute requirements of the customers, so we extend the best advice to them. We believe in providing the ‘WOW’ factor to your home’s kitchen. If you desire to get the dream kitchen countertops with well-furnished cabinetry, then you are with right professionals. Our sole motive is to provide 100% customer satisfaction to the clients without making them shell an extra penny and render remarkable granite work. Why Wait? Choose Us For your Kitchen Countertop Makeover! Stone Design by Santos provides granite Fort Lauderdale services by the highly trained experts and skilled technicians who have years of experience in handling and working with the granite stone.